Still trying to get that eyebrow game at 100%? I thought I would produce a "pictorial" for you all, on how I achieve a strong but still natural brow. A few years back, I NEVER filled in my brows, I didn't think anyone did? Stupid I know. I also made the mistake of oveprlucking my brows, especially at the front. I spent a long time trying to grow that hair back, unfortunately it does grow back kind of sparse. Products needed are pictured below. First up is to brush through your brows with a spoolie. Grabbing an angled brush (mine is from Ecotools) dip the brush in whatever product you use. Currently I am using and loving the Anastasia Dip Brow... won't go back to anything else! I start lining out the shape of my brow on the edge. Next up is drawing out the top of my brow. Following it's natural shape on the top and the bottom. Then with what is left over on the brush, fill in the front. You want the front of the brow to be lighter, therefore it looks more natural. This next step is optional, but I think it highlights and cleans up the lines. 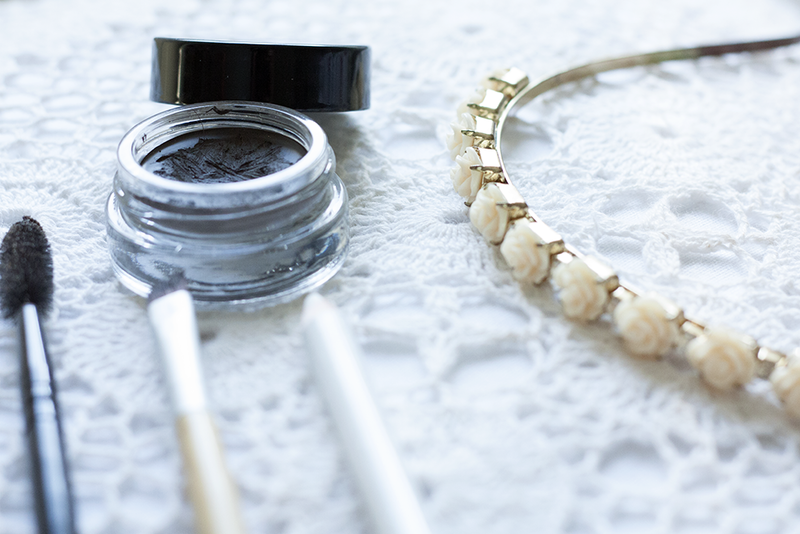 Grab a white eyeliner of a concealer and mask out around your brow and just blend with a tiny detailing brush. & then your eyebrow game is on point. i seriously need to try dip brow, though i'm kinda scared to work with a cream product on my brows - love the tip of using a concealer under the brow though, it makes so much difference! Wow you have such naturally full brows! I'm so jealous! Oh my gaaaaawd brow game is strong!! I use the dip brow too and mine never look this good! 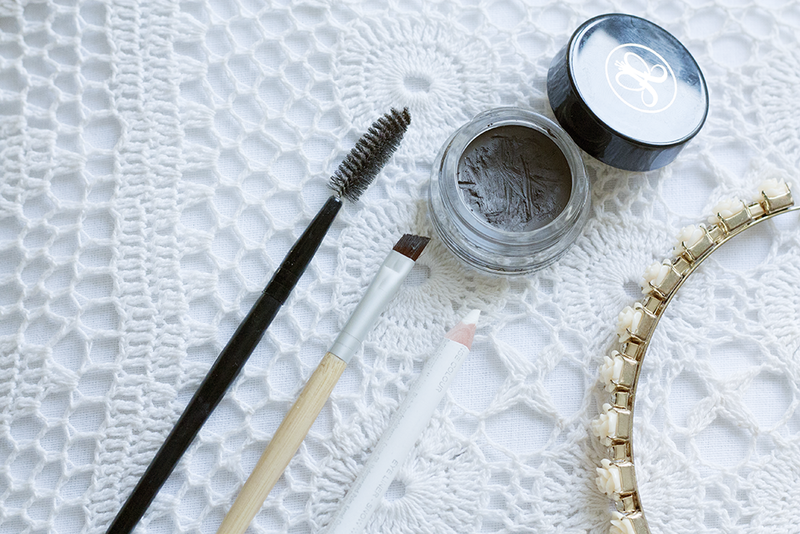 Serious Brow envy! !